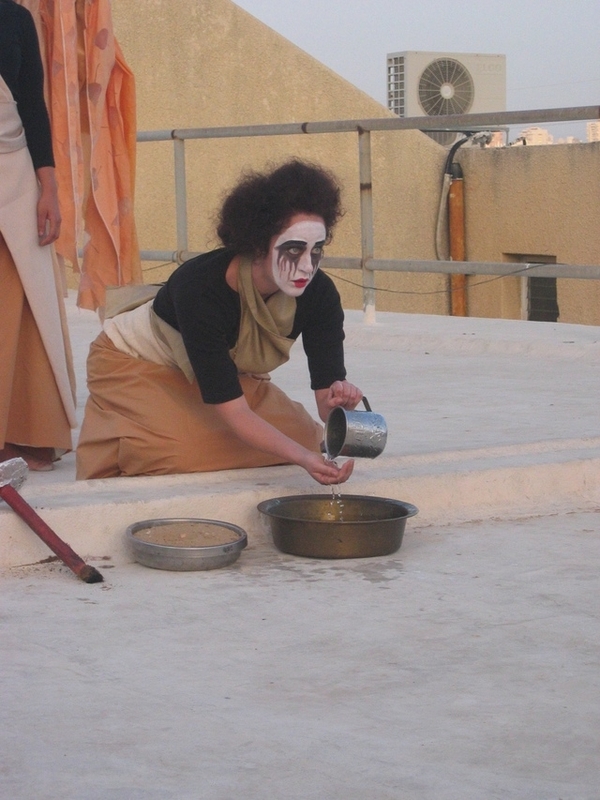 Based on “Antigone” by Sophocles and “Iphigenia in Aulis” by Euripides. When people were evacuated from “Katif” area in the Gaza strip, the Israeli nation was divided into two groups: one, in blue, supported the evacuation. The second, in orange, was against it. The struggle between these two different worldviews constituted the basis of this artistic work. 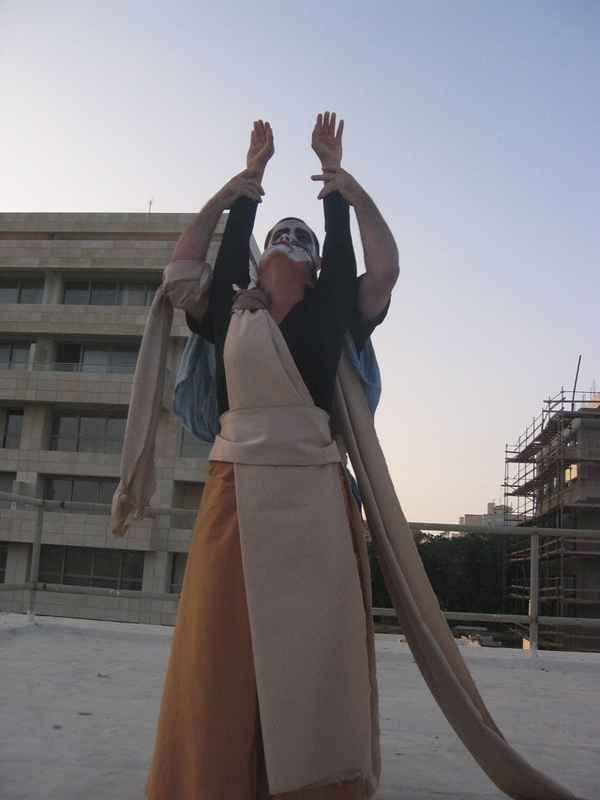 The internal struggle I felt as a creator between the belief in God and the Zionist values on which I grew and the passion and freedom to create converged with a cruel political situation in which, for the sake of achieving peace, many of my friends had to leave their homes against the values on which they grew. The question of self-sacrifice and its limits versus the state of the law bothered me a lot. 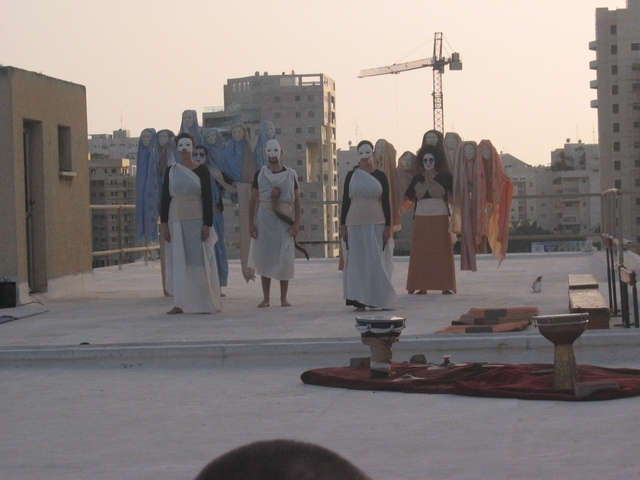 At that time of evacuation, while I was 70 kilometeraway from Gaza, on the roof of the building of the “School of Art” in Tel-Aviv, I composed this play, combining texts from Greek tragedies, which I like very much, and some of my personal texts. 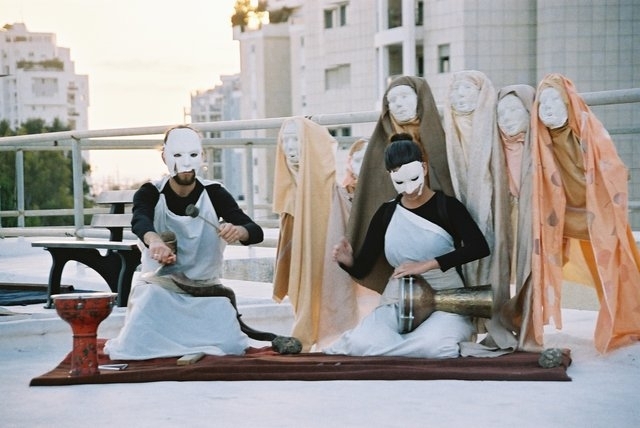 The creation of the play was inspired by “Theatre du soleil” by Arian Mnushkin in France. 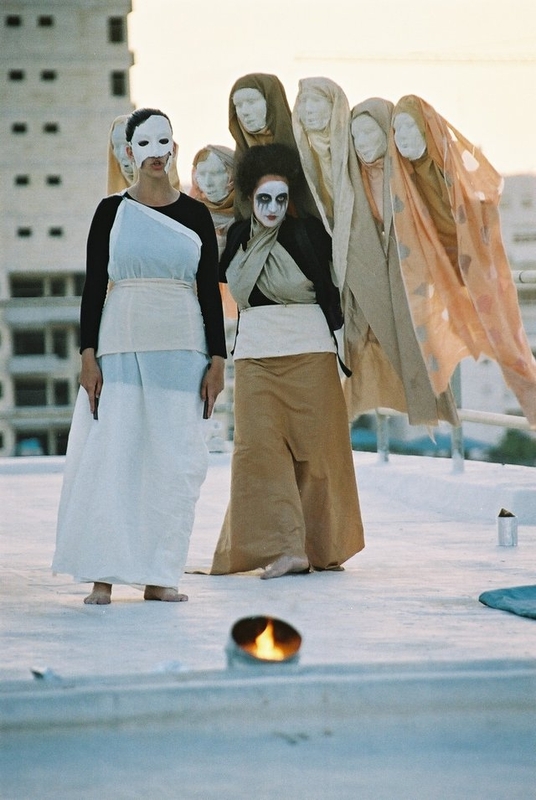 Izik Golan, Chanit Simna, Yael Toker. 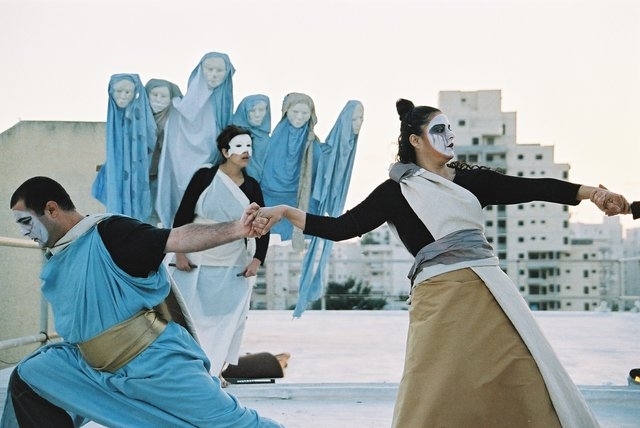 Asher Witman, Sivan Bronstein, Tamara Levinson.